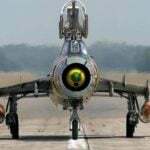 Development of combat training aircraft “Pampa” began in 1979, the Design was made on the basis of the aircraft “alpha jet”, with the involvement of the company “Dornier”. In 1981 began construction of three prototypes and two airframes for static tests. 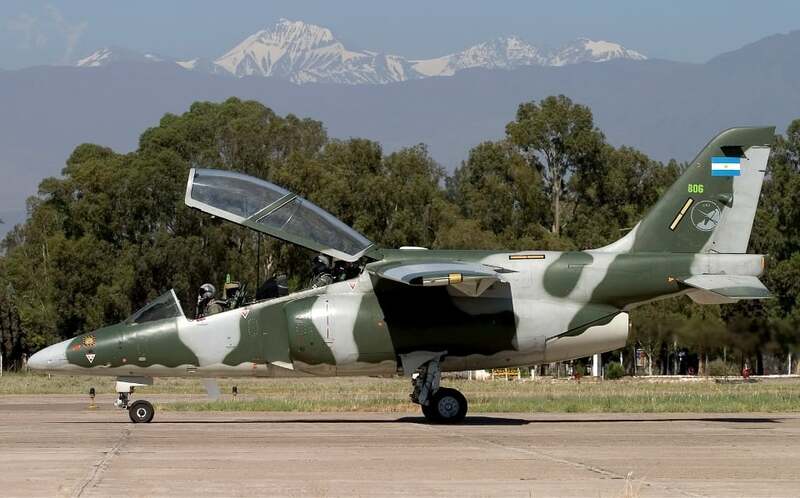 The first prototype, named EX-01, first flew in October 1987 it was Planned to produce 300 aircraft: 100 for the Argentine air force and 200 for export. But in the end, to the end of 1990 produced a total of 55 cars. The plane is made by normal aerodynamic scheme with a high straight wing. The machine was equipped with turbojet engine Garrett TFE-731-2-2N, located in the rear fuselage. In a pressurized cabin equipped with two ejection seats. As “Pampas” it was assumed, in addition to learning tasks, to use as a “counterinsurgency aircraft”, provided five points of the outer suspension arms. Engine – TFE-731-2-2N, traction 1580 kgs. Wingspan -9,69 m. the Length of 10.93 m. the wing Area is 15.6 m2. Take – off weight of 3.8 tons Maximum speed – 750 km/h Combat radius – 360…750 km service ceiling – 12,9 km flight Range of 1500 km. the Crew – two people. Armament: gun: one 30 mm DEFA cannon, two missiles Martin Pescador or Nursi cal. 70 mm, or bombs cal. 250…400 kg. payload Weight – 1160 kg.